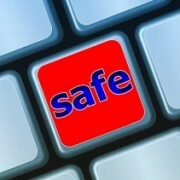 Companies are increasingly being required to protect their data. Owing to the escalating threat of cyber security attacks and common network server crashes in general, the need for a stellar backup and restore plan is imperative. Companies that use the public cloud network in particular, are exposed to theft of confidential data of their customer and employee accounts and other sensitive company information. Although efforts to effectively combat cyber attacks are always underway at pretty much every institution, having a recovery and backup plan is neither complex nor difficult. It is for this reason that we will highlight a step-by-step guide to creating a secure backup and restore plan. A stellar backup and restore plan is imperative owing to the escalating threat of #cybersecurity attacks and common network server crashes. Before you get started on your backup recovery plan, evaluating the current backup infrastructure first can help greatly. This could include your systems’ backup servers, backup media and system storage components. The objective of this assessment should be to consider how effective the existing infrastructure is in recovering affected data amid a network security breakdown or other disasters. Secondly, there also needs to be a focus on identifying critical data from non-critical ones and the storage capacity of the components. This will help determine the extent to which critical data can be backed up using existing storage capacity. The aim here is to understand the gap between the existing and expected storage requirements and anticipate how storage requirements will grow over the next 6 to 12 months. It will also help to know how the organization seeks to scale its existing backup infrastructure to meet this growth and how many different types and number of backup clients will it involve. In this step, the company policies, requirements, and procedures need to be reviewed to decide best practice. This includes deciding on the optimal backup schedule so that all data is backed up automatically. This could vary from organization to organization; however, it will essentially depend on the nature of data that requires back up. 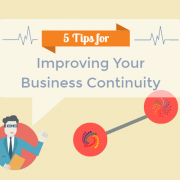 For example, some companies may require a daily backup of their customer account database especially if it is being updated regularly; others however, may only need a weekly or monthly backup. 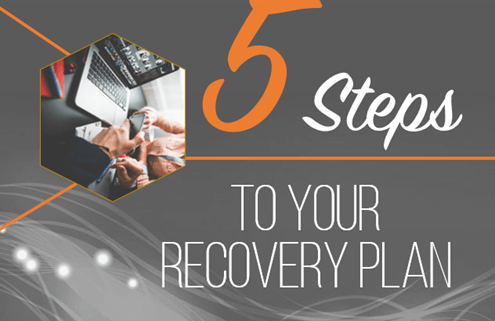 This step is crucial to a successful backup recovery plan. Issues relating to financial constraints, organization infrastructure constraints and personnel constraints need to be taken into account. For example, in the case of personnel constraints, a CIO needs to ask whether their number of employees is sufficient to perform a backup recover operation and whether they have the required skill-set to perform such an important task. More importantly, infrastructure constraints could involve adding more data center resources or a backup recovery system to store files and other data. In addition, are there enough funds to accommodate for the backup recover plan upgrade requirements? 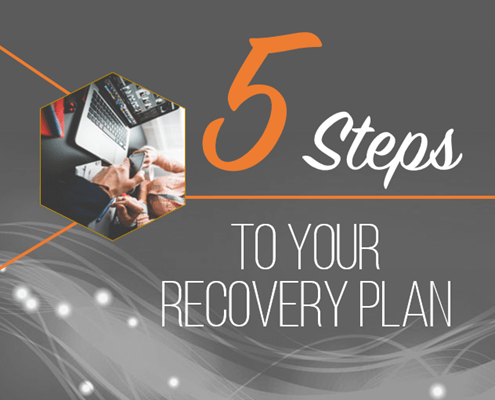 Once you have made the necessary actions to have a backup and recovery plan, run simulations to ensure it works well, helping you to be prepared in the wake of a real security breach or a disaster. To test your backup recovery plan, it is important that backups on all critical data be performed and no areas or servers are excluded. Your staff also needs to be trained on how to shut down the applications and load them upon restarting. Furthermore, the backup recovery plan should also be timed to assess the speed at which it can backup and store critical data. Knowing how responsive your backup process is can be critical in an emergency scenario. 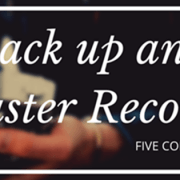 Could Your Business's Data Backup Survive a Disaster?